Spring is the time for new beginnings and what better way than to start a Pink Zebra business. 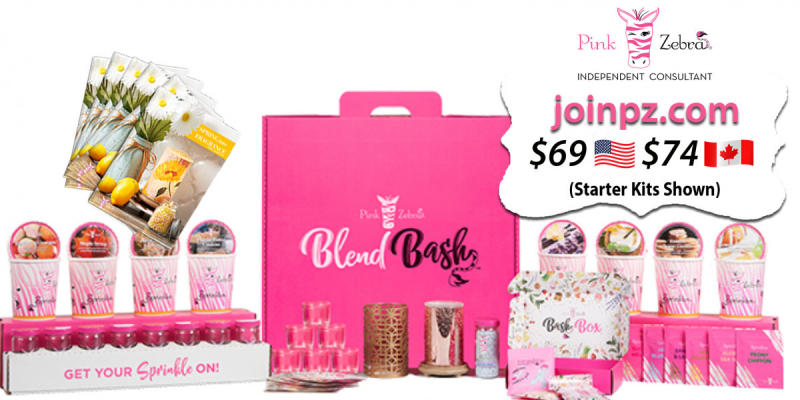 Pink Zebra's new Spring/Summer business kits are a breath of fresh air – they have a variety of refreshing new fragrances this season as well as 3 NEW business kits to choose from. From now until April 19th, join the team with the Starter kit featured below for just $69 US or $74in Canada. It’s a great value for a very affordable price. The Starter kit in US is valued at over $400 and the Canada kit, over $500! Earn up to 35% sales commission as well as earn residual income for teaming building as a Pink Zebra consultant. There are lots of other perks too. Here is a video explaining our career plan and benefits.